Northern Warriors outclassed Pakhtoons by 22 runs in the T10 league finals to be crowned the undisputed champions in Sharjah on Sunday. Warriors displayed an impressive performance on their road to the finals, winning six out of the eight played while Pakhtoons registered five wins. 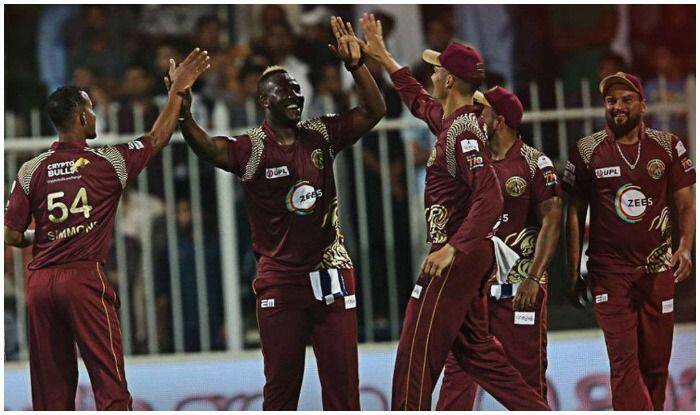 Northern Warriors was led by Darren Sammy from West Indies and coached by Indian all-rounder Robin Singh. The team includes Wahab Riaz from Pakistan, Dwayne Smith from West Indies, Ravi Bopara from England, Chris Green from Australia, Lendl Simmons from West Indies, Imran Haider from UAE, Amitoze Singh from India amongst others. ZEE5, the global digital entertainment platform from Zee Entertainment Enterprises Limited recently launched across 190+ countries, are the title sponsors of the Northern Warriors in the second season of the T10 Cricket League. Northern Warriors is one of the three new teams that made their debut in this season of the T10 Cricket League.